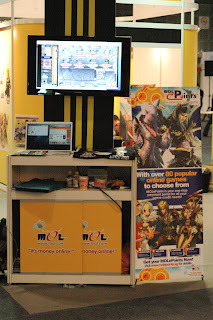 What a fantastic time we had at the Games Convention Asia 2008. It was great to see some of our players coming over to say hi! Here are some snippets over the 3 exciting days. At the booth located on Lvl 3, mainly for the business side of gaming. Response was good, with many interesting discussions in the future of gaming. 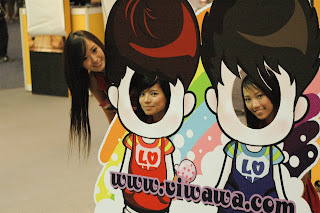 Viwawa Ambassador Winner. 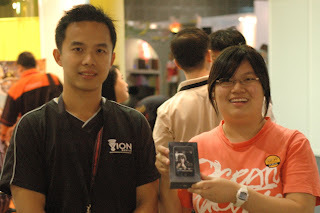 A happy winner of a S$2700 phone. 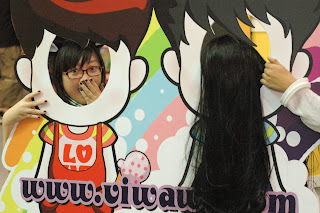 Viwawa FaceWawa Winner. Proud winner of the iPod Touch. Cute booth babes get together. ... dead or alive, they all love our Wawas. One of our youngest gamer getting her hands on our games. Is that Admin in the background? All in all, another great event. Hope to see you all again soon!